Think outside the box and think about making a big statement. 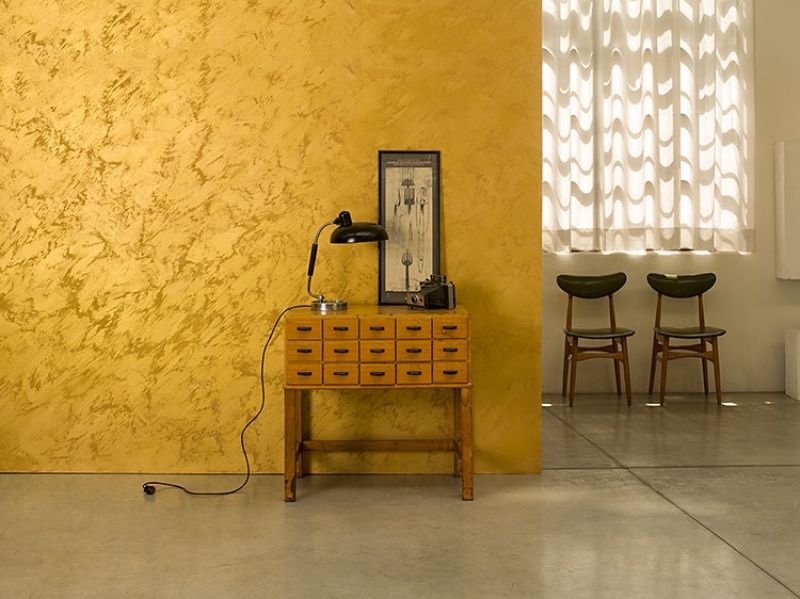 This luxury textured paint comes in two bases: gold and silver so to create light effects that will dazzle and shine. One of Viero’s truly eye-catching finishes. The precious pigments contained in the product can orient the light, thus achieving a pearly appearance. This finish is perfect for a grand setting or on those occasions when you really want to make a statement with your design. Always used for interiors. The Allure textured paint sparkles and looks fantastic in juxtaposition with traditional-looking furniture.